As I mentioned on the last posting, the 50 Ability Marathons Team snuck 3 extra marathons in during the week of May 20th. These were 3 races of a 5 race series called The New England Challenge – 5 Marathons in 5 Days. The first two of the series were in Portland, ME and Nashua, NH on the 20th and 21st, which they were unable to make. The last 3 from the 22nd to the 24th were in Warwick, RI, Hartford, CT and Springfield, MA. After which they had to travel to Burlington, VT for the May 26th KeyBank Vermont City Marathon. Wow, now that’s a busy week, so in 5 days they were in 4 marathons. As if all that traveling wouldn’t wear somebody out, fit in 4 races and see how you feel afterwards. So, now that brings us to this Saturday’s Race in Newport, OR. The Newport Marathon will be Race #23. Yes, we are almost at the half-way mark. The weather is expected to be 43 degrees and sunny at 7:00 a.m. with 58% humidity, a 1 mph wind and no forecasted ran. That sounds like some good marathon weather, particularly when you compare it to Race #22 in Vermont where it was low 40’s, raining and with a wind chill. 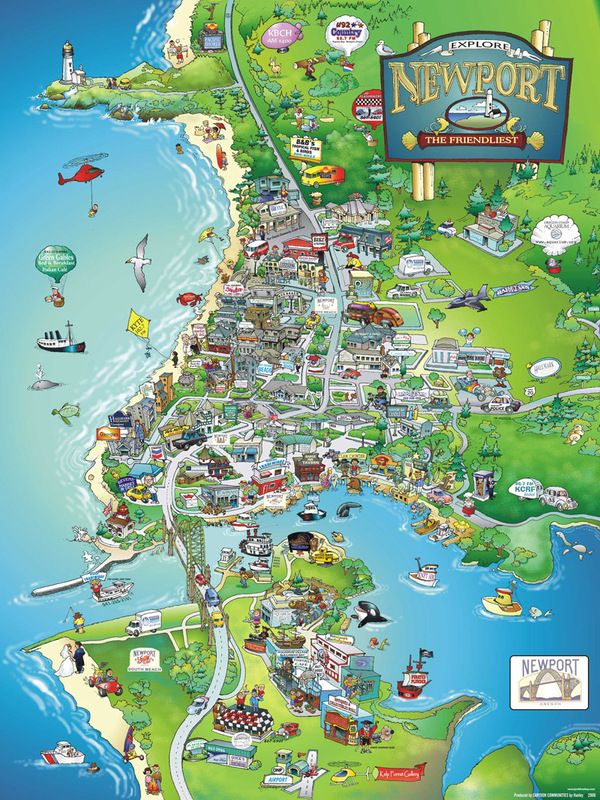 Newport Oregon is just southwest of Portland and is right on the coast next to Yaquina Bay. The marathon will start in Yaquina Bay State Park by the lighthouse. From there, the runners and wheelers will head north through some of the towns neighborhoods that run next to the ocean with some picturesque views. Then turning back south in the direction of the bay and going east along the north shore of the bay till mile marker 15 where the course turns around and retraces itself towards town. This course is flat and fast with beautiful scenery and gentle grades.